The above educators can help you with a video conferences. Darryl "Dusty" Rhoads and Sally Brasel will give a lecture to the students. The student will write the questions and a teacher forwards the question to the above educators. 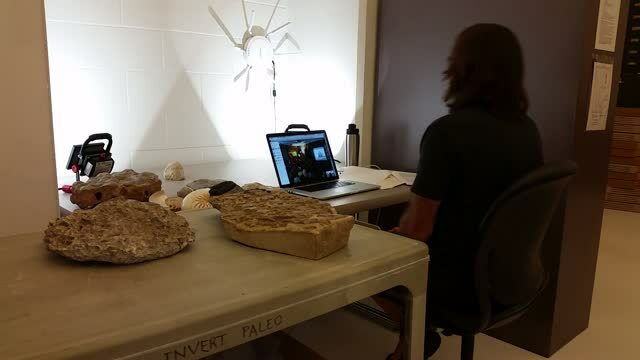 Darryl "Dusty" Rhoads and Sally Brasel are the project managers of The Fossil Study Rock and Living Fossil Trees. Also see us on face book. By next year we hope to have video feed on the Monarch migration, Hummingbirds, hatching of the Martins and Blue Birds.